As SXSW was drawing to a close in Austin, TX late Saturday night (3/16) and early Sunday morning (3/17), multiple shootings in the heart of downtown left several people injured, Austin American-Statesman reports. The two shootings were the latest in what Austin Police Chief Brian Manley called a “violent weekend in Austin,” and followed an additional three shootings that happened over four hours early Saturday morning. “There was loud pop that I heard. There was a pause of a second or two, then the people in the crowd started shouting ‘a shooting,’ and everybody started running,” festival attendee Matthew Carey told Deadline. Paramedics responded and at least one person suffered a gunshot wound, Carey said. Another person was seen being taken away in handcuffs, as the photo above shows. That arrest came from extremely quick intervention by the Austin Police Department, another source told Deadline. “They were on the guy within a minute,” the source noted of police action in the highly patrolled neighborhood. Austin police also confirmed the shooting on Twitter. According to reports, police were called about 2:45 a.m. when a large boisterous crowd at a Wendy’s off Interstate 35 and 7th Street began to get out of control as several people began jumping on a vehicle. Police said the individuals jumping on the vehicle were reportedly holding firearms. The crowd began to disperse with individuals running to a nearby service station as officers arrived. Police then say they heard gunshots and later discovered three injured people in the parking lot of a Shell gas station. The victims were taken to an Austin hospital with non-life-threatening injuries. 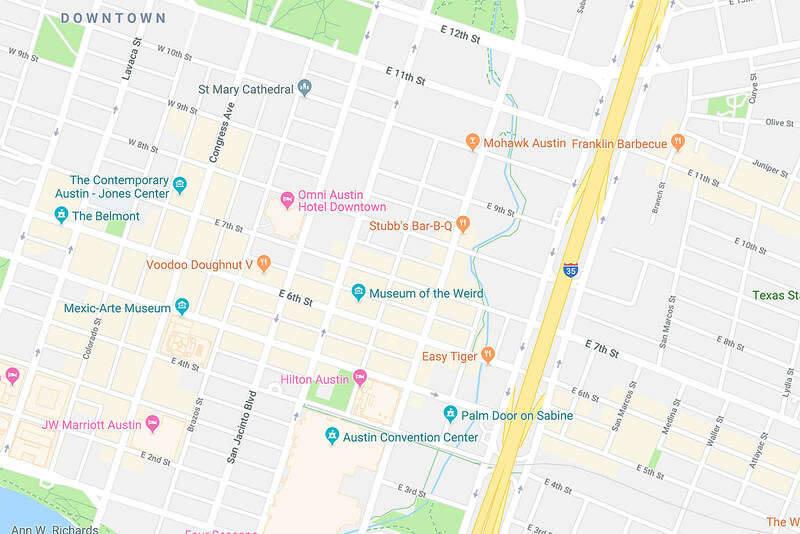 Police presence in downtown Austin during SXSW, particularly near the high concentrations of venues and bars on 6th St, Red River, and the Rainey Street district, has been on the rise since the tragic car crash in 2014 that killed four.